Ten years ago on this date, our E came home...forever! For us, it was one of the most exciting days of our lives, life changing for sure. For E's birth parents, it was life changing as well, but for very different reasons. Honestly 10 years ago, I wasn't fully in tune with all of the challenges and emotions that come with adoption. I still saw it from the perspective of an outsider. I dreamed of the moment I would hold my baby and know that he was mine forever. There was no sadness or anguish in my world, just pure happiness. I had already experienced my loss through failed attempts at getting pregnant and miscarriages. I had reached the light at the end of the tunnel. That day, however, I was whacked in the face with the reality that adoption is hard, beautiful, but hard. While we were in the midst of our immense joy and elation, there were two young people experiencing the intense pain and the first hand effects of loss after placing a baby for adoption. I "know" their feelings through words they wrote to us on that first day and first week. Their words were heart-wrenching. "We must be careful not to sanitize, sentimentalize, or even glamorize the pain of adoption. The joy I initially felt became blurred with guilt. How can we be celebrating while others are suffering a devastating loss and broken heart? I remember selfishly wishing that "our moment" wasn't tainted. 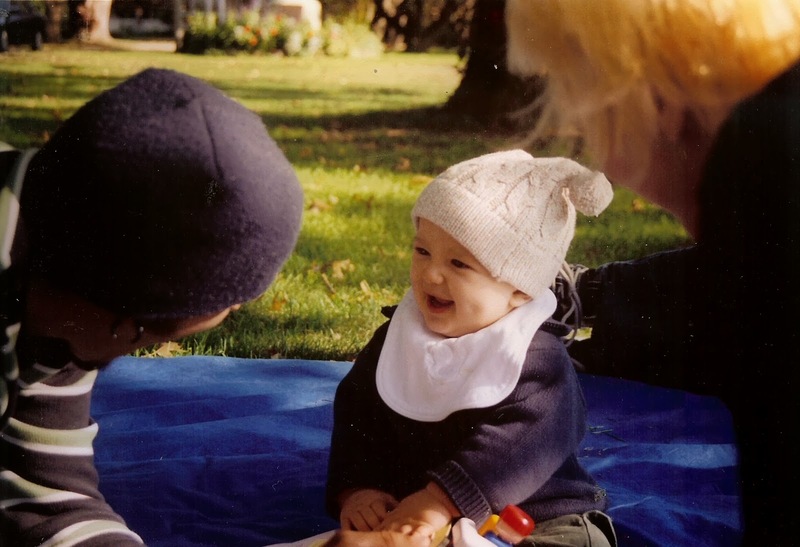 I just wanted to look at my boy and be his mother, but in order to do that, I needed to acknowledge all the feelings of adoption, not just the joyful bliss that comes from becoming a parent. "We also recognize that pain contributes significantly to the breadth and depth of our existence. It is a necessary element of life, and it is an error to conclude that anything painful should be eliminated." I'm pretty sure my heart physically grew that day, not only because we became parents to a beautiful baby boy, but because we "experienced" all the feelings that come from adopting a child. My thinking has evolved to now cherish and even be grateful for all the moments of our experience, even the ones that could rip your heart out. I don't even pretend to think I understand the pain experienced by birth families, but now I can at least acknowledge it. When my little boy asks me about his first parents, I "know" their words and their struggles and try my best to express to him just how much they love him. "Lovingly created adoption can transform extremely difficult circumstances into something beautiful, but it cannot alter the fact that each person's journey begins with loss." Today we celebrate, not only the gift of adoption, but a little boy who has transformed our hearts. He is our smart, but stubborn, loud, but affectionate, spirited E. We cherish and love you bunches little man. Happy 10th Gotcha Day! I've written about E's gotcha day the past couple of years. You can find those posts here and here.